Variety, BBC America, Quartz, TechCrunch, Engadget, CNN, Forbes, Reuters, and The New York Times. Do you know what they have in common? Well, they all write news and…they all use WordPress. So, if you have decided to use WordPress to start a news website, you have made the right choice. WordPress has all the necessary features required for a news website. 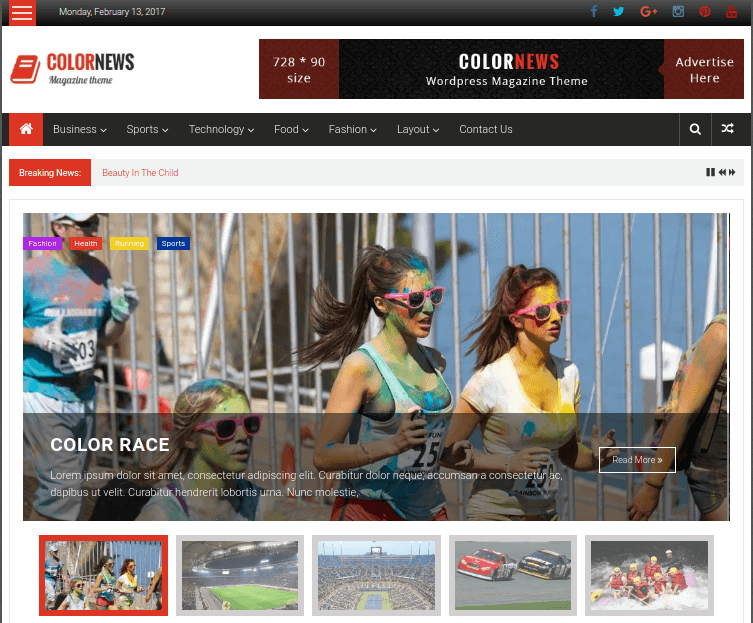 You can even start your news blog/website with any general WordPress themes. Not all WordPress theme are good at managing a huge amount of content. 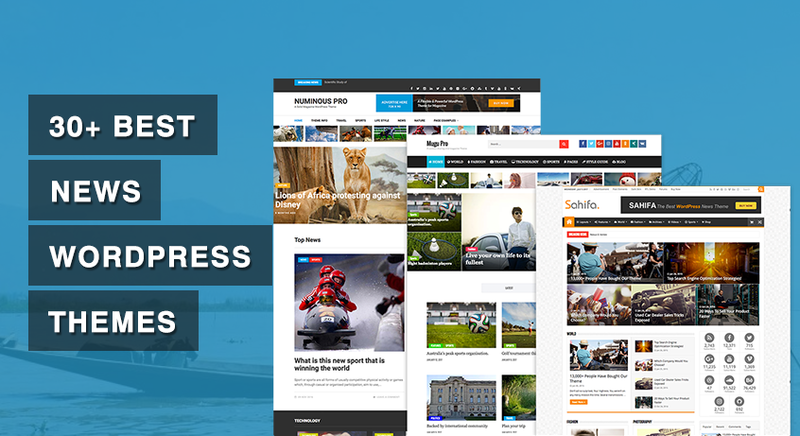 That’s why we present you the best WordPress themes for a news website. 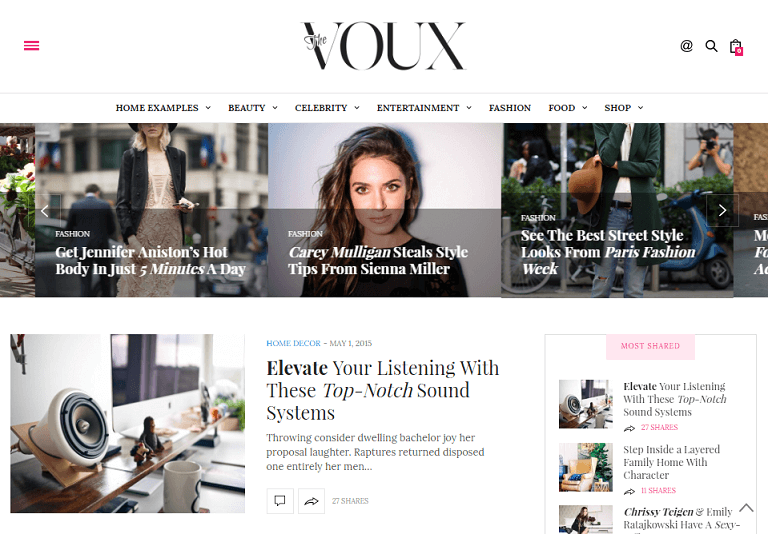 If you are planning to grow and become the most-read news website down the line, you need a website where visitors can navigate around the content easily. And, you also need sections to display breaking news and ads (you need to survive). 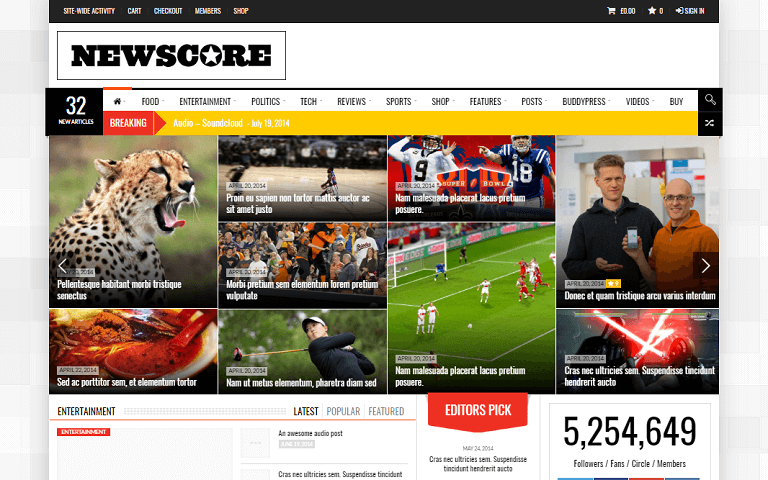 Don’t have a news website yet? Check out our step by step guide on how to start a WordPress website. 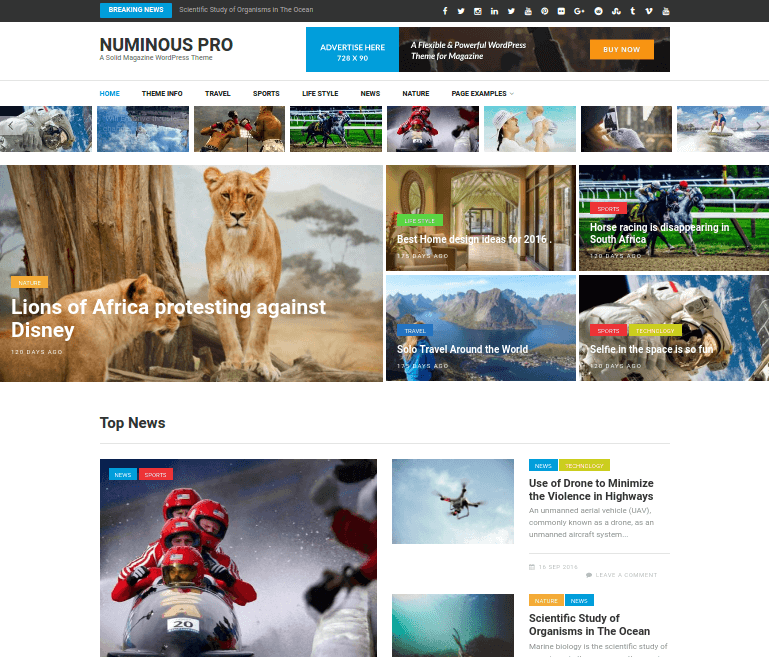 Numinous Pro is beautiful and highly customizable WordPress Magazine theme. It comes with in-built Ad-blocker detector and ad management system, which you can use to increase your online income. 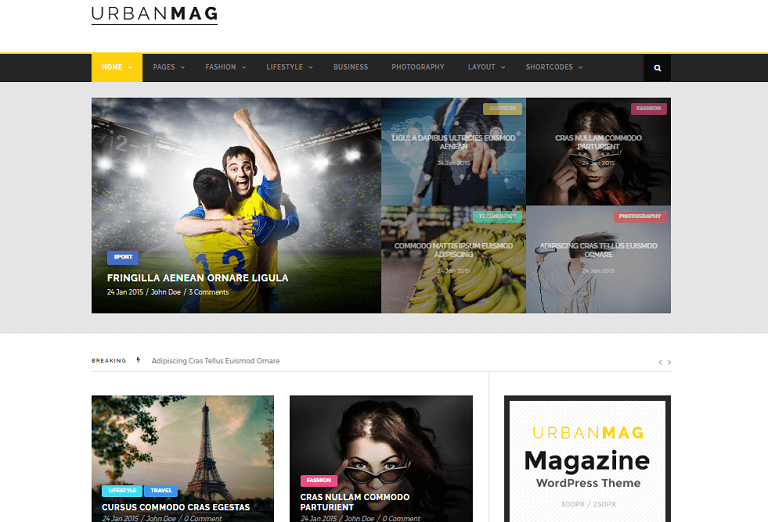 With different layouts options and unlimited category, you can customize and give your website unique design. 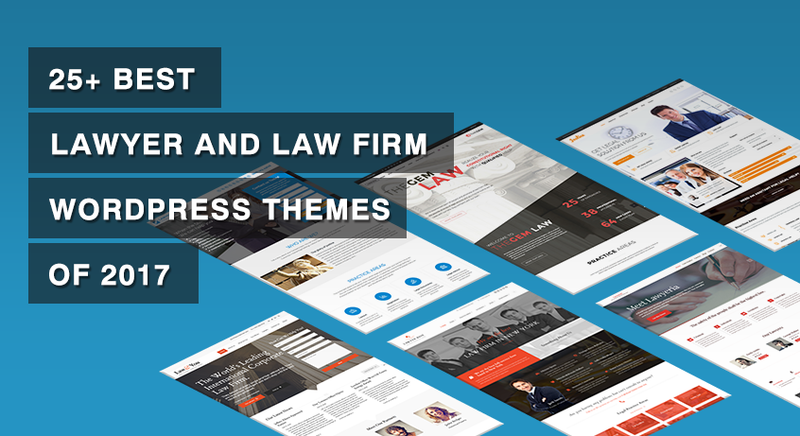 Packed with countless features and customisation options, the theme is designed to impress and will take your website to new heights. 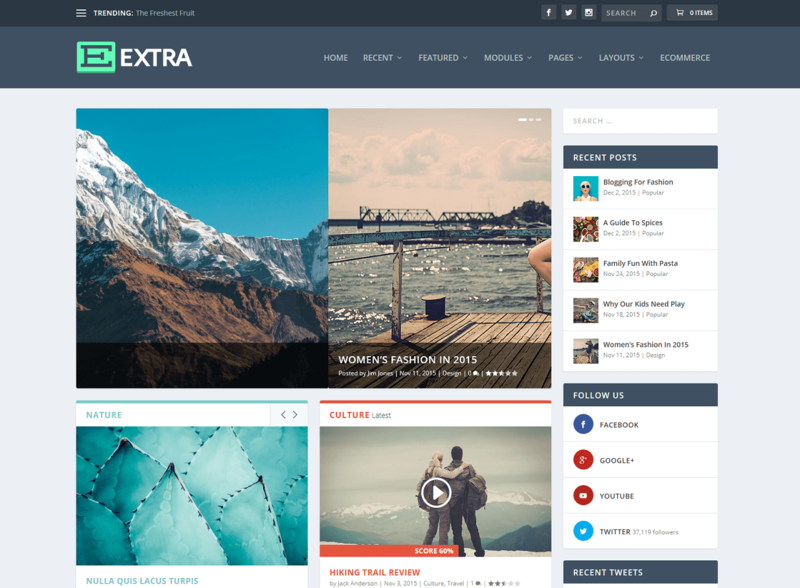 Extra is a beautiful and modern magazine style news WordPress theme. It is powered by Divi builder- one of the most powerful website builder. 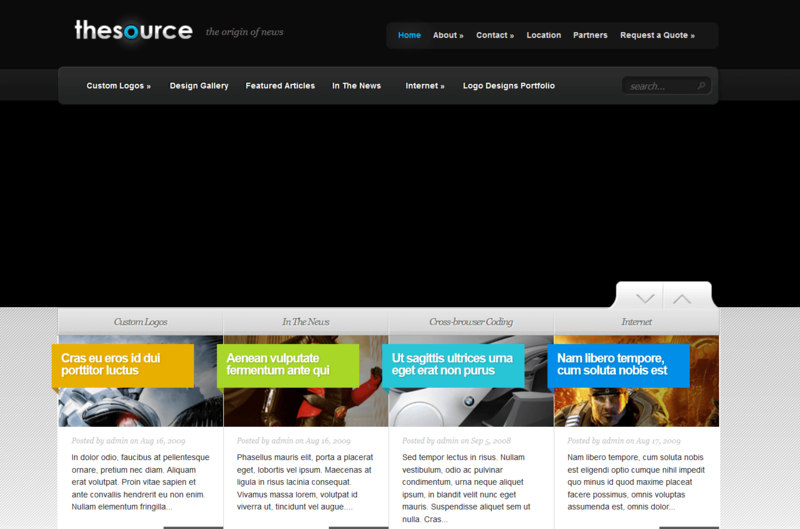 So, you can easily customize your website with ease by just dragging and dropping items. 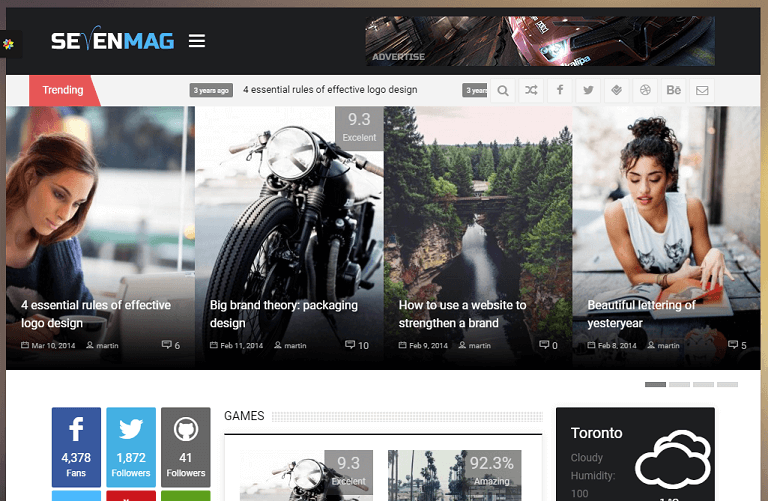 Nexus is a versatile magazine theme packed full of custom widgets and content modules that give you control over your page. 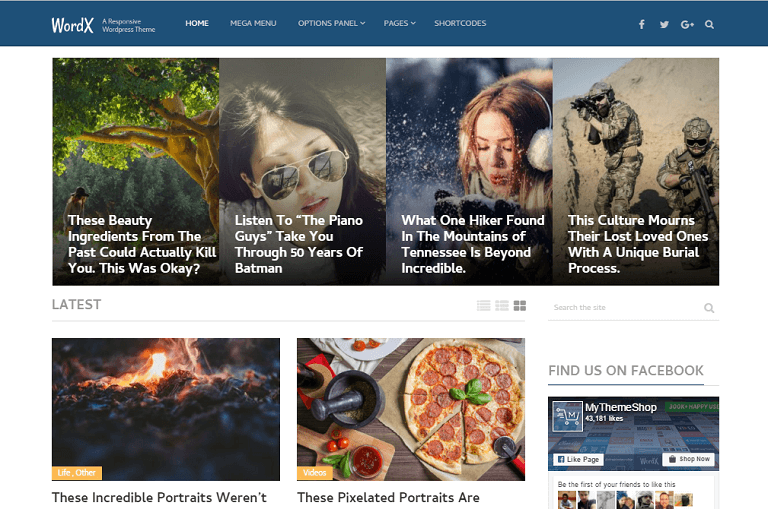 The challenge of any magazine theme is to take massive amounts of content and present it to the reader in a clear and structured manner. Nexus achieves this through a strict grid, typographical hierarchy and a clean layout that gives each element just enough room to breathe. 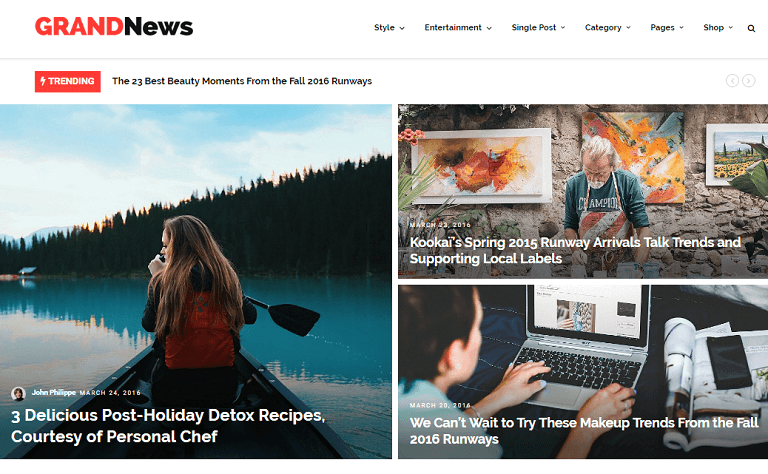 If you have been searching for a feature-rich Magazine-style news theme for your news website, then look no further! The Aggregate comes packed with tons of content and widget-ready areas and manages to display everything in a clear and readable manner. 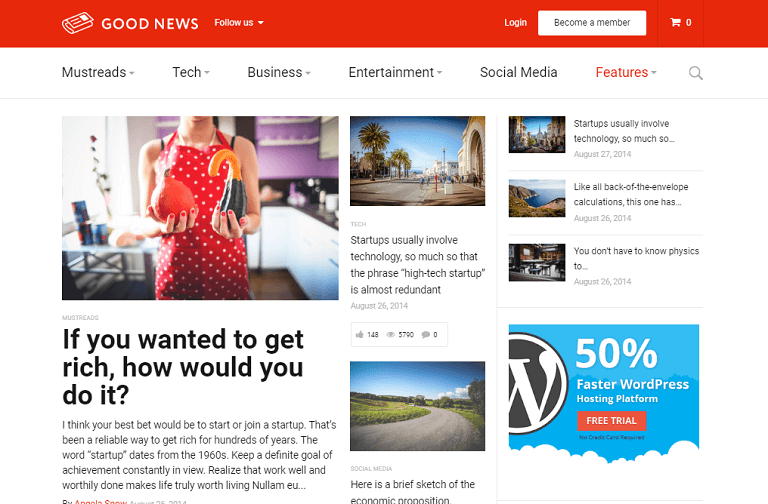 Kingnews is a premium and features rich WordPress theme for magazines and newspapers. 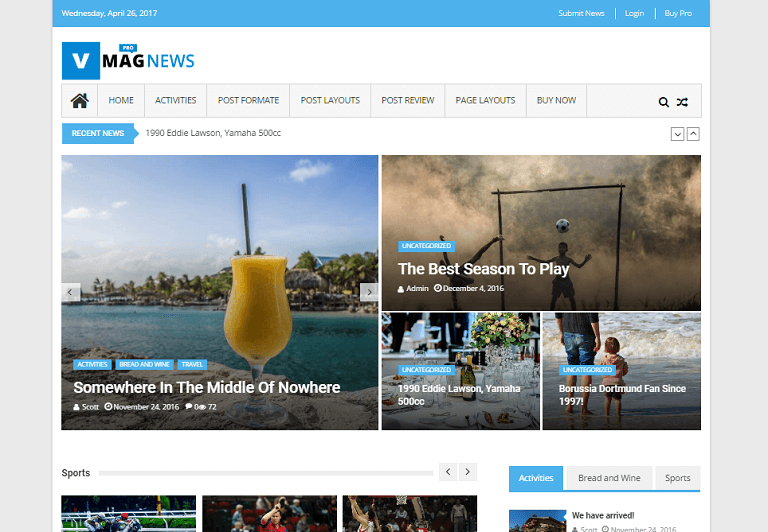 If you are in publishing business or just want to create eye catching news portal at minimal cost Kingnews theme is exactly what you need. The front page of the theme contains thought through widget areas structure. 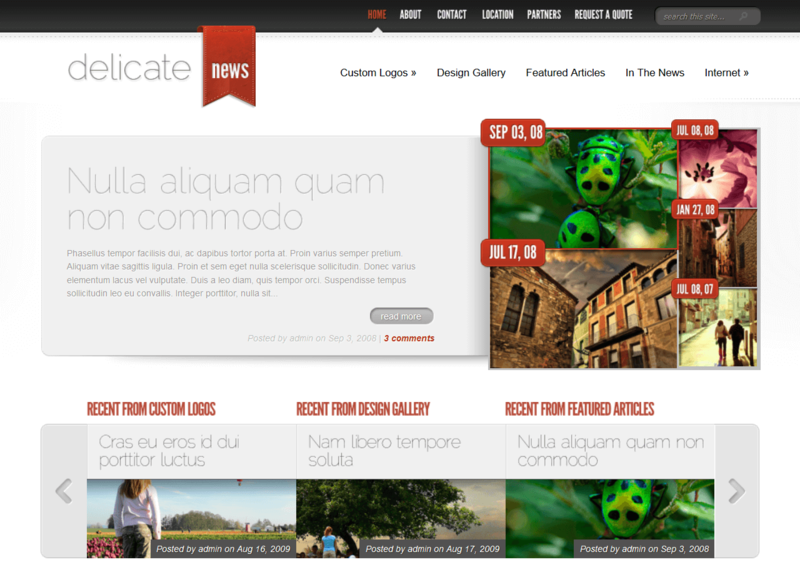 It allows to combine multiple widgets included in the theme and build various layouts. The theme is extremely easy to use. You can make changes in WordPress customizer and see the results just in the same browser window. Being built with Bootstrap 3 framework, the theme guarantees great look and feel at any device and any screen resolution. 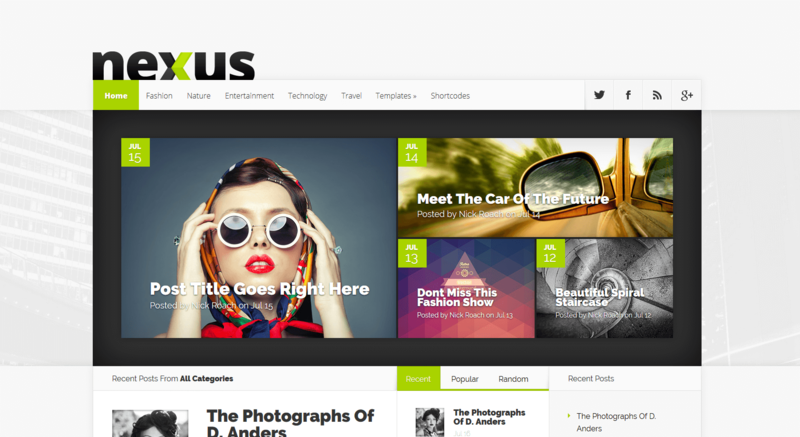 WordX is a beautiful and professional theme for blog and online magazines. 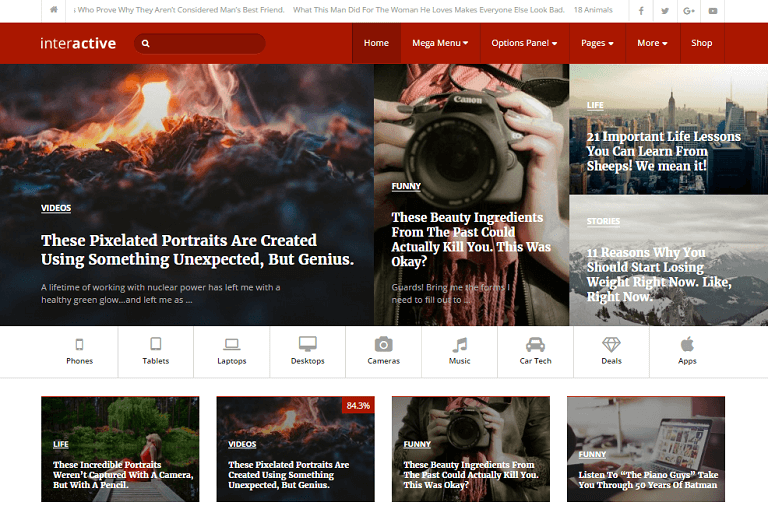 This is the perfect theme for content-rich sites with HD images and will ensure that you're able to compete with the very top players in your niche. Fully responsive for mobile devices with countless features and customization options, WordX will propel your business to new heights. 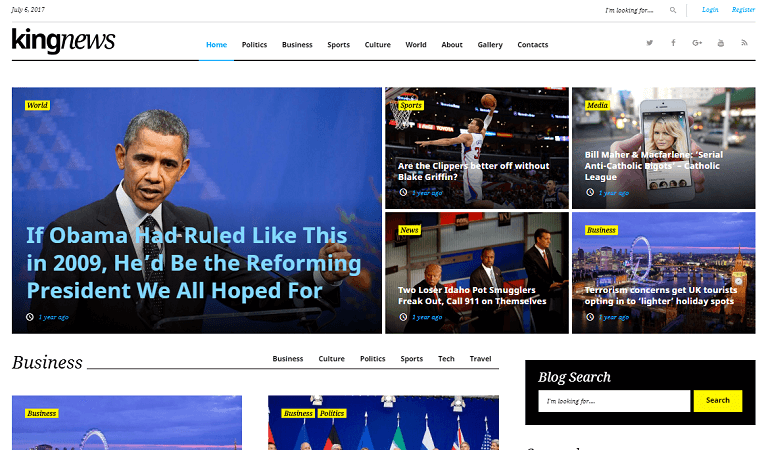 Soledad is a stylish and professional WordPress theme for online news site. 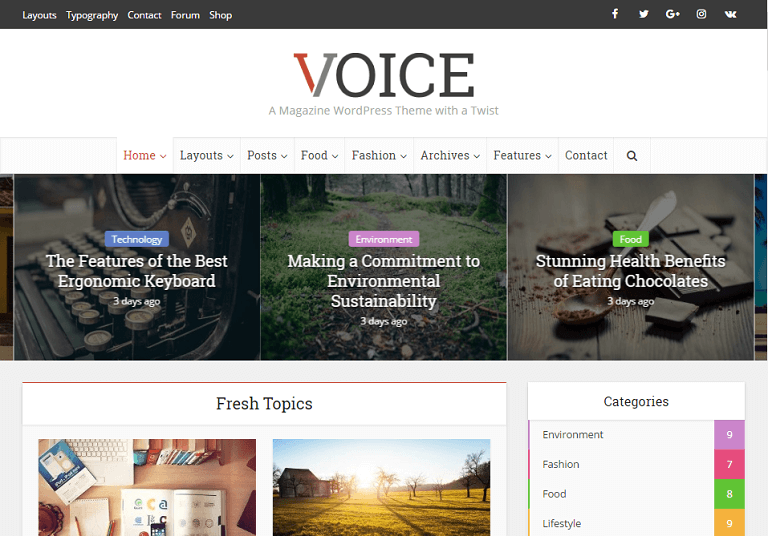 The theme comes with WooCommerce integration, different sliders and blog/news layouts. 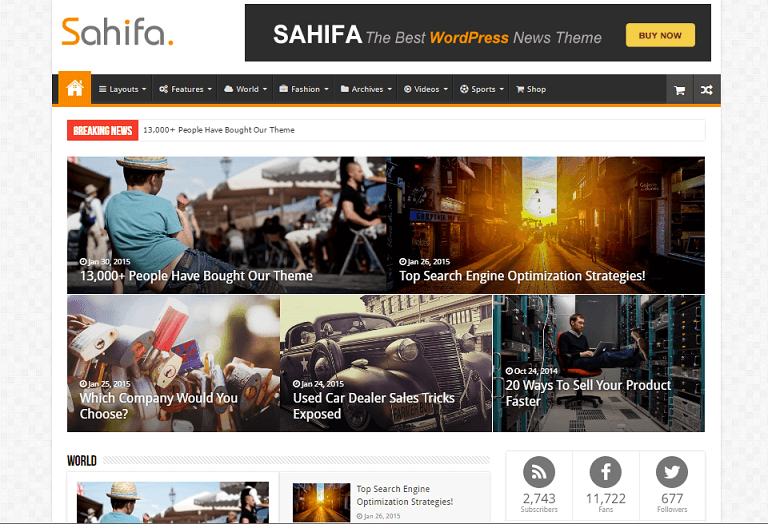 Sahifa is a clean, modern, user friendly news WordPress theme. 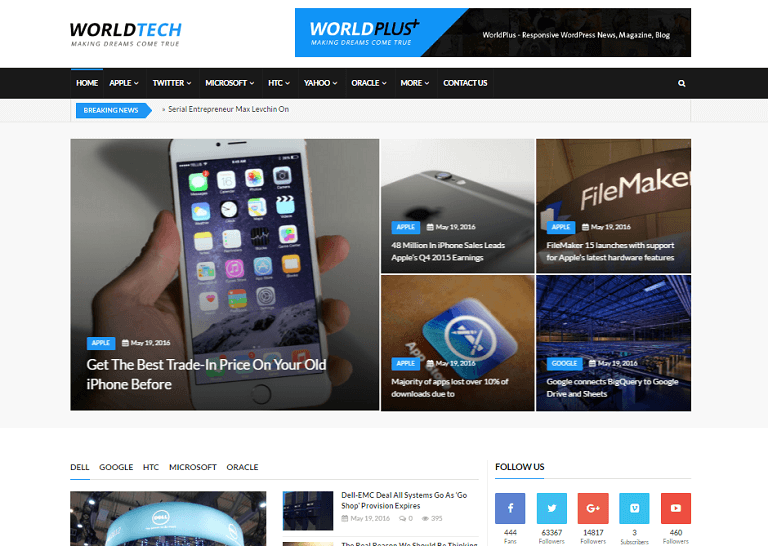 The theme is fast-loading, customizable, flexible, functional and fully responsive WordPress News, Magazine, Newspaper, and blog Theme. 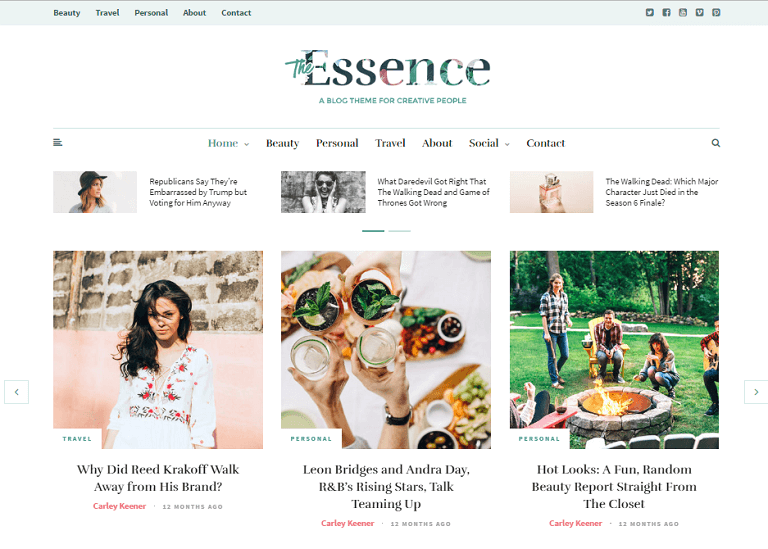 The Essence is a beautiful newspaper WordPress theme, packed with useful features such as – featured Slider, Instagram photos, Meridian Styler, multiple homepage layouts, and more. 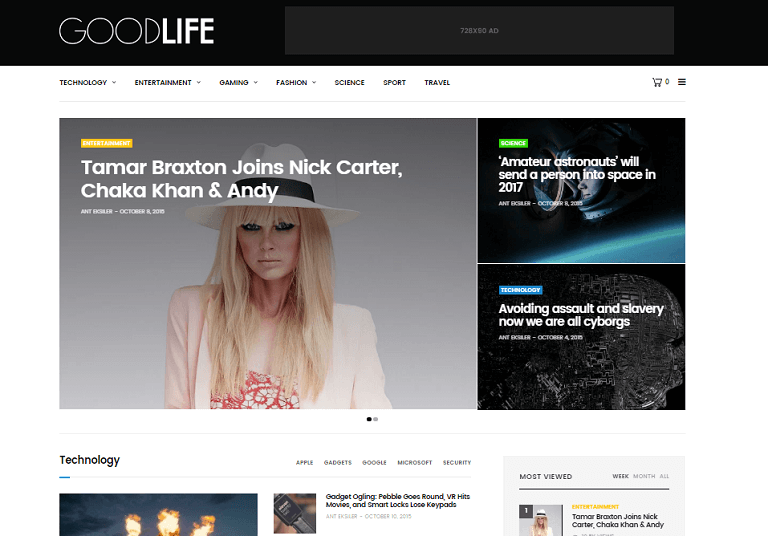 GoodLife has a distinct, modern lifestyle feel that would be perfect for any magazine that wants to stand out from the crowd. Full page sliders & Mega Menus that are intuitive to create and a pleasure to use. The Voux has been designed with absolute attention to detail. 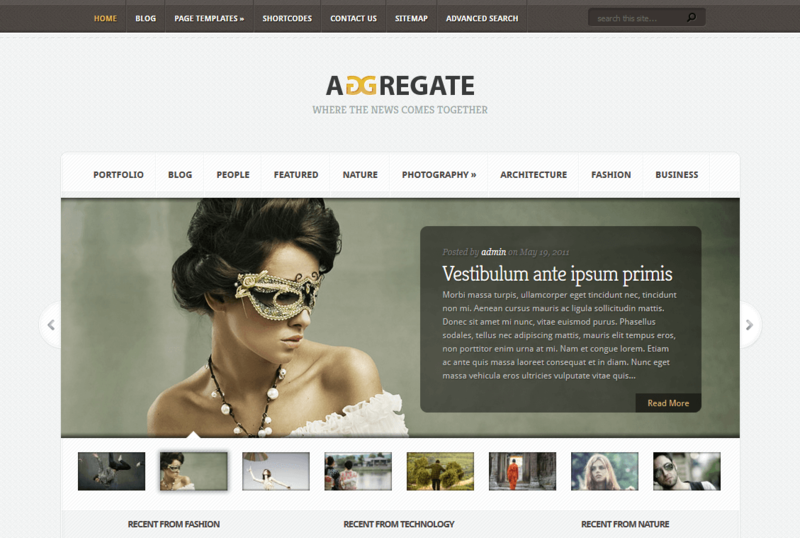 Within you will find five beautifully crafted homepage styles to get you up and running quickly, with no coding to do. Of course you can simply create your own with the industry standard best Page Builder, Visual Composer included in your purchase. 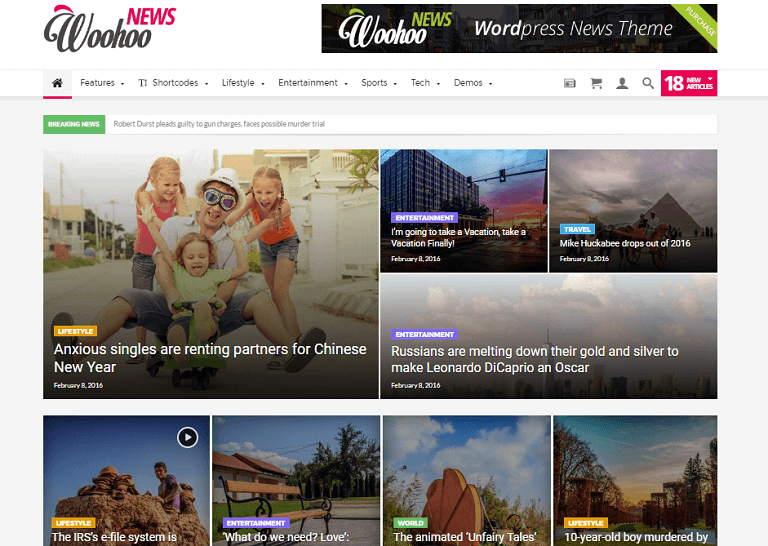 WooHoo is a Modish News, Magazine WordPress Theme. 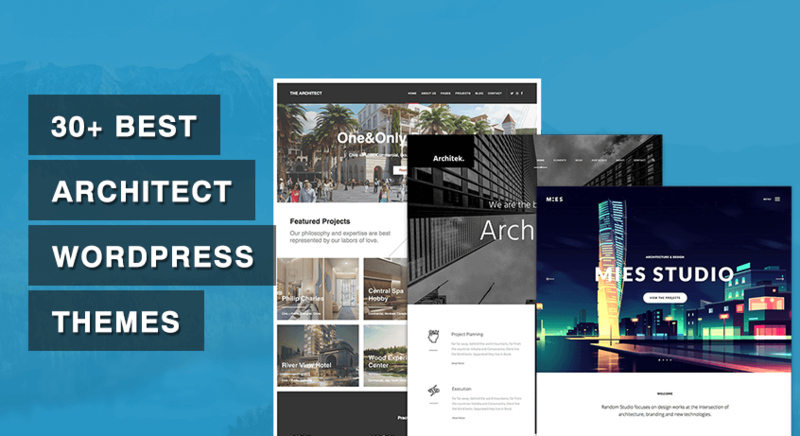 The theme allows you build something stylish and sleek! 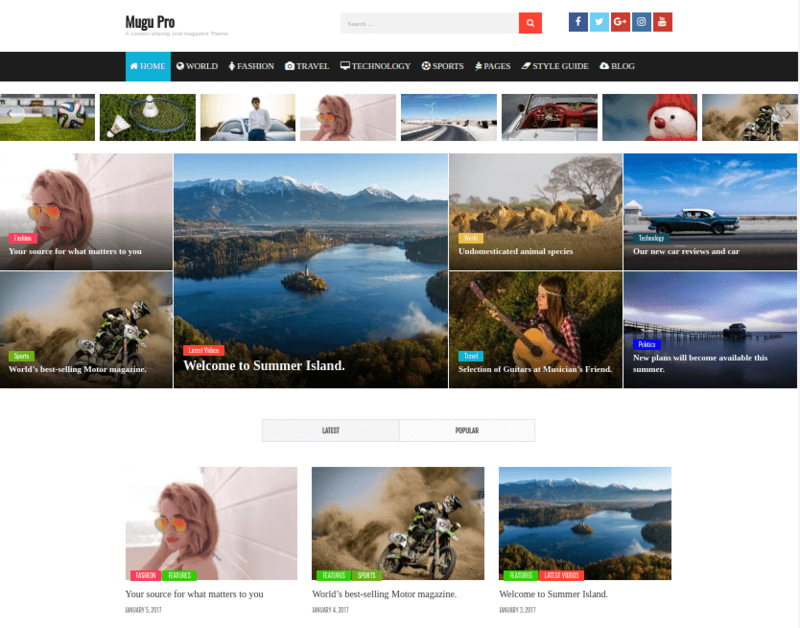 WooHoo WordPress Theme comes with the most trendy features and options when it comes to the Blog, Magazine, and Newspaper trend. 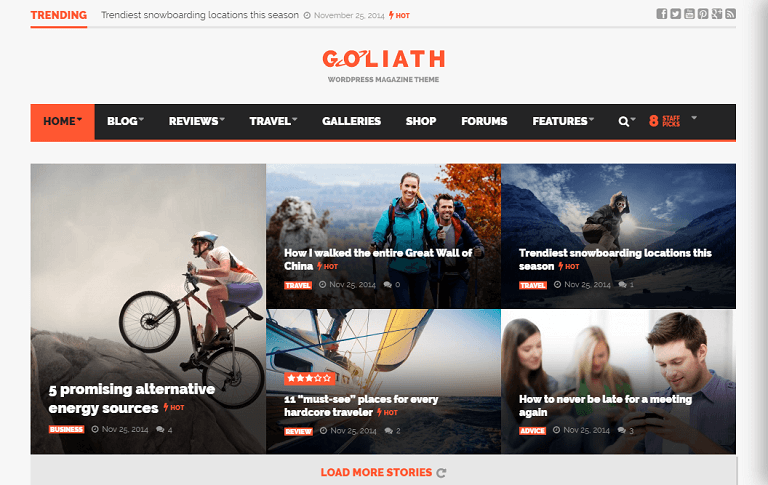 Goliath is fully Responsive WordPress News & Reviews Magazine theme that looks and works great on mobile devices, tablets and computers. Goliath is especially well suited for creating product reviews – it has built-in rating system, cool summary tools and improved review display in Google search results. With Goliath it’s easier than ever to set up your advertising – the theme includes ads system that allows you to insert Google Adsense, Iframe or regular image banners. 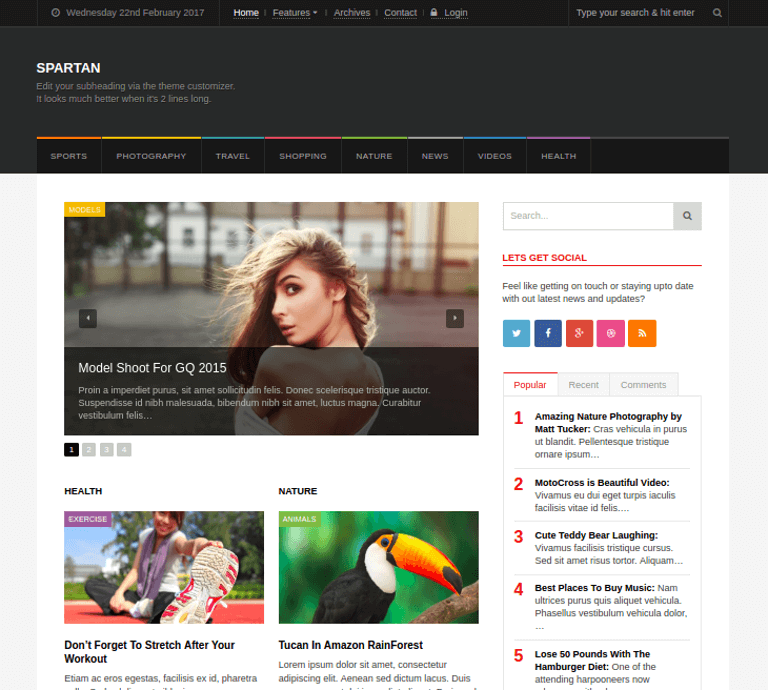 Spartan is a premium WordPress theme built for any sort of online news, magazine, blog. Fast, SEO-Ready, Unlimited Color options and more. 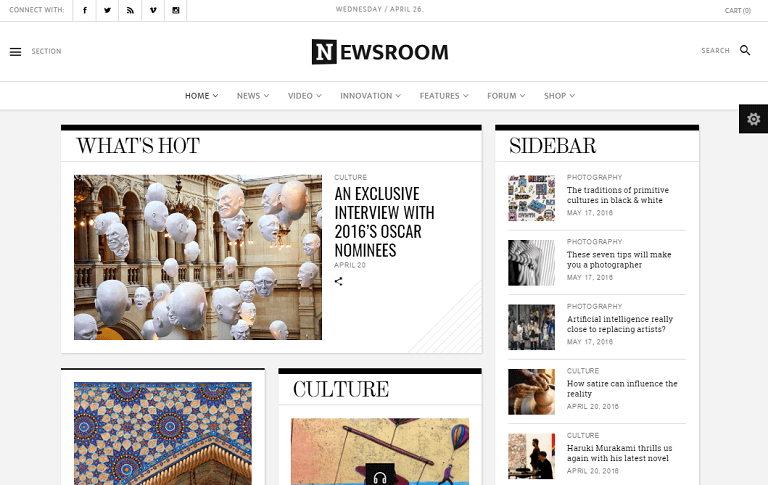 Newsroom is a contemporary multi-purpose newspaper magazine theme. 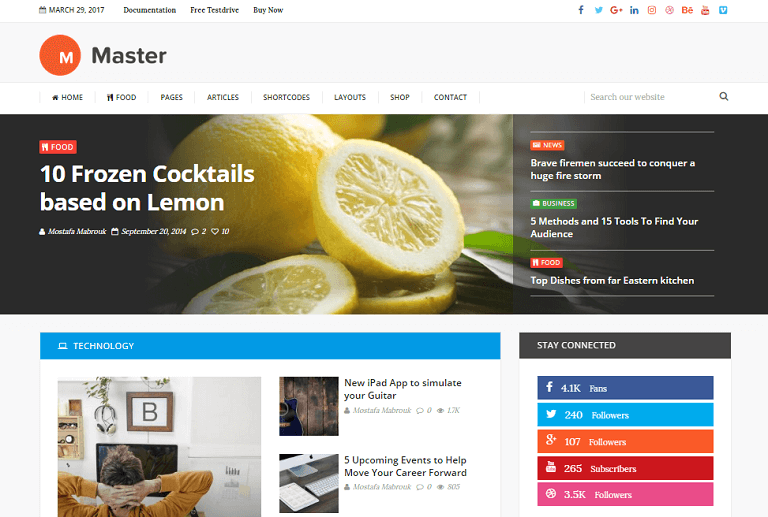 Master for WordPress stands out from the crowd not only with its elegant and professional design, but in how simple it is to set up and create the perfect website for your Magazine or Blog. 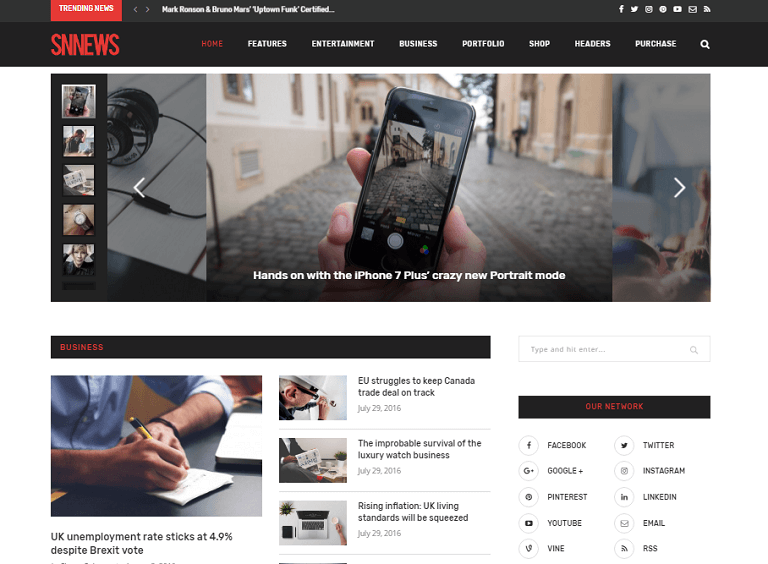 INFRA is a clean, responsive WordPress theme suitable for news, blogs, magazines, publishing or review sites. It also features a rating system. It uses the best clean SEO practices, and on top of that, it’s fast, simple, and easy to modify.